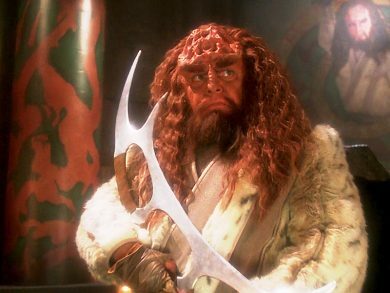 He’s been gone for 15 centuries, but Kahless, the spiritual leader of the Klingons is back! He’s ready to lead his people back to peace and glory, and he wants Worf’s help to do it. Only he might not be Kahless, and Worf might be seriously questioning his own faith along the way. Rightful Heir is up next in the Mission Log.